Hi lovelies! Today I have my unboxing of August's MeeBox for you. If you missed my posts for last months 'Rio' box, you can see my unboxing here, swatches here, and nail art look here. This months box was a special one, as it is MeeBox's first birthday! The theme was 'Boho', and we were told to expect the unexpected, and also promised a little extra birthday treat. Read on for a closer look at everything inside! The first polish this month is Zoya 'Aggie', a metallic gold with a green flash. This almost looks multichrome in the bottle. I'm not normally a gold fan but this really caught my eye. Unfortunately, it doesn't look like the green translates very well to the nail - we'll see what happens! Next is Cuccio 'Prince I've Been Gone', a deep teal green creme. I'm obsessed with greens at the moment so was really happy to see this. This type of rich shade does tend to stain though, so fingers crossed that isn't the case! The last polish this month is Barry M Gelly 'Green Berry', a green-leaning mint. I asolutely love Barry M, so was a bit shocked to realise I don't have this shade yet. It is a gorgeous colour and I can't wait to try it out. The first nail-art item we received this month is a pot of metallic leaf from Miss Cat Nails. I believe we have the Pistachio colour. I'm not 100% sure what I'd do with these but I'll have a bit of fun, play around, and see what happens. Next is the item I think I was most excited about, a bottle of polish remover made by MeeBox themselves. It is called 'The Grape Escape', and smells amazing. 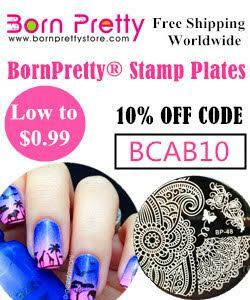 It is also non acetone which is a bonus for anyone suffering from dry nails. How exciting! 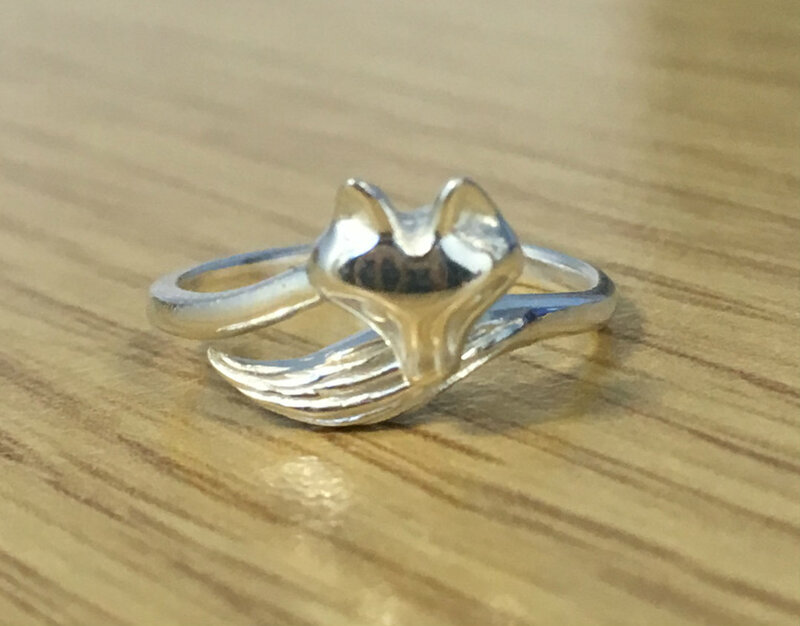 If that wasn't enough, hidden in the paper of my box was this adorable little silver fox ring. This was our extra Birthday treat, and from what I can see there were a couple of different designs. I love my fox. What do you think? This box is perfect for me. I think the polishes are great transitional colours to move into the colder months. You have a bit of sparkle from the Zoya, a deep warm colour from Cuccio, and a pop of brightness from Barry M - just incase you're not ready for Summer to end yet. Weirdly it was also my first blog anniversary this week so I'm feeling the birthday vibes! Ahhh! That fox ring is adorable! Aggie is a pretty shade, but you're correct, the green shift does not translate well onto the nail. Congratulations on your blogiversary! Ditto, the ring looks fab. I wonder where the got the idea to name the polish Aggie? When i've read that name i immediately thought of our local soapie called 7de Laan and there's a character called Aggie - lol. Gold polish, i also have one at first i also thought to myself i wouldn't choice ever to purchase such a colour, but once i've painted my fingers with it, i loved it! Those are pretty polishes! And the fox ring is really cute! What a fun box! Happy Blogiversary! I love all the colours in the box!